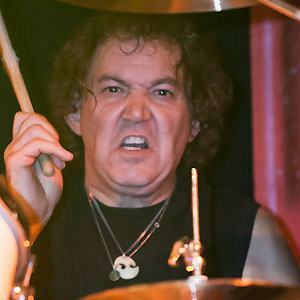 Drummer who helped start the hard rock and heavy metal band, UFO. He started playing the drums when he was seven years old; he met his bandmates, Phil Mogg and Pete Way, in high school. He hired virtuoso guitarist Michael Schenker after firing the original UFO guitarist Mick Bolton over differences. He settled down in Texas with his wife. He suffered from medical problems from late 2005 until early 2007, during which time Jason Bonham filled in for him in UFO.